With C-Max and Galaxy MPVs occupying the upper and lower scales of the MPV sector the Ford S-Max fits neatly in between. Larger than the C-Max but smaller than the Galaxy the S-Max aims to offer the best of both worlds with a dynamic driving experience but true seven-seat flexibility. With C-Max and Galaxy MPVs occupying the upper and lower scales of the MPV sector the Ford S-Max fits neatly in between. Larger than the C-Max but smaller than the Galaxy the S-Max aims to offer the best of both worlds with a dynamic driving experience but true seven-seat flexibility. The arrival of the recent Grand C-Max means we’re unlikely to see a replacement for the S-Max, so used examples are only going to become more popular in future. While rivals were offering larger (often called Grand) versions of their compact MPVs Ford decided that it should give customers another choice - a completely new model. 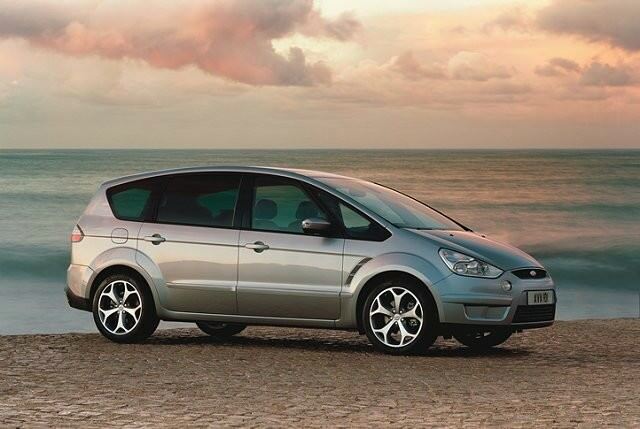 So the S-Max was only ever offered in one size, with five doors, seven seats and a sleek mono-box MPV body. That limited choice was continued into the range of engines; in general the S-Max was only ever available with diesel power - though the firm has now started to offer its excellent 2.0-litre EcoBoost petrol engine. Initially only available with a 1.8- or 2.0-litre four-cylinder (the unrefined 1.8 is best avoided if you can), later in its life a 2.2 TDCi and extra frugal 1.6 TDCi became available. The 2.0-litre TDCi is probably the one to go for; as frugal as the 1.6-litre unit is, it’s the larger model that offers the best compromise between economy and performance - especially important if you plan to actually load your S-Max up. And while there was an automatic gearbox offered, most cars were sold as manuals, and as such these are easier to find on the used market. Likewise trim levels were limited as well, the S-Max sold in basic Style, Zetec, Titanium or range-topping Titanium X specification. Style is best avoided, as it really is poverty spec, and likewise the most expensive isn’t worth the extra outlay - buyers are best off aiming for a mid-spec Zetec or Titanium as they both have plenty of standard kit anyway. The 1.6-litre diesel may be in tax Band B, but there are fewer for sale on the used market than the 2.0-litre unit and its economy comes at a price - that of performance. Far better is the larger 2.0-litre, which in the latest models achieves 5.6 litres/100km while emitting less than 150g/km of CO2. Also expect to find a manual car, as few were ever sold as automatics, and we’d aim for a mid-spec Zetec model, which still comes with plenty of equipment. If you’re in the market for an S-Max then it's likely that driving dynamics are almost as important as cabin flexibility - and in this way the Ford will not disappoint. Certainly the SEAT Alhambra or Renault Grand Scenic may offer more cabin space, but neither are as much fun to drive. A have your cake and eat it car, the S-Max is without doubt one of the most talented all-rounders in the segment.